The battle royale scene is getting crowded. The fact that a lot of the games are AAA title spin-offs like from Call of Duty and Titanfall does not leave much room for newcomers to the genre. This may be a deciding factor in the battle royale game PlanetSide Arena delay on Friday. The PlanetSide series is known for having a huge amount of players concurrently taking part in enormous battles. The first PlanetSide game launched in 2003, PlanetSide 2 was released in 2012, and PlanetSide Arenas is hopefully coming out this summer. 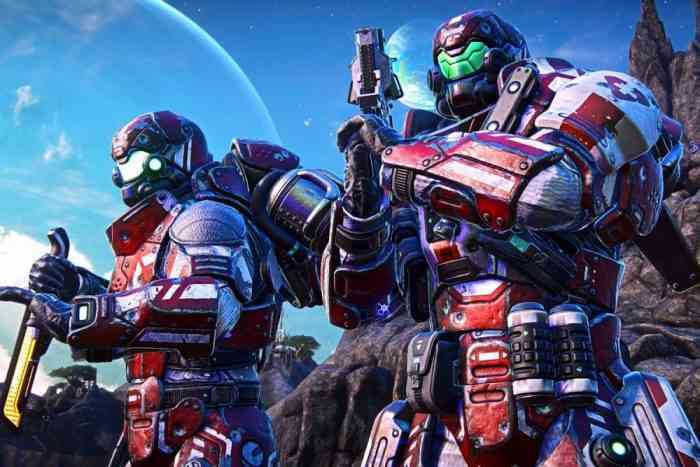 PlanetSide 2 actually holds the Guinness World Record for Biggest First-Person Shooter Battle, so a battle royale game should be right up its alley. Well, as it was mentioned before, PlanetSide Arena has been delayed, and not for the first time. The game was originally set for launch on PC in January 2019. It was pushed back to March 2019. On Friday, developer Daybreak announced that it will release in Summer 2019. The Summer release date was originally supposed to be for the PS4 version, but now the PC version will launch alongside it. No reason was given for the delay, and when no reason is given, people start talking. Daybreak started the announcement by thanking those who played the closed-beta over the past few weeks. What else happened in the past few weeks? Apex Legends, the first battle royale game to strike a real blow to the face of Fortnite. That could be intimidating for the PlanetSide team. It also could have affected the numbers involved in the closed beta, leaving the testing not as effective as intended. It kind of sounds like PlanetSide Arena is kind of waiting out some of these other battle royale games. What do you think of this delay? Let us know in the comments below.